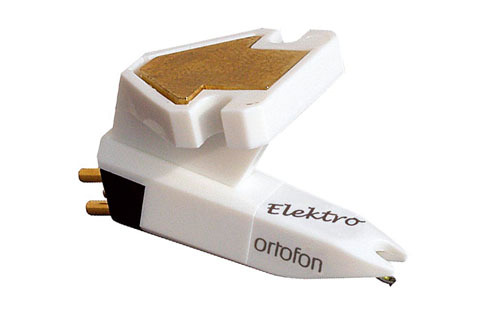 Ortofon OM Elektro Single Turntable Cartridge DJParts - All Variety of Parts that DJ Needs. The Ortofon Elektro OM Turntable Cartridge isn't just another pretty face, despite its sleek white styling. With a reinforced rubber suspension, the Elektro OM is the perfect hybrid needle for the vinyl artist who both mixes and scratches. Enhanced tracking ability and excellent sound quality combine to form a unique balance of form and functionality. With bold, round sound, this Ortofon cartridge brings your music to life, whether you're in a club or the studio. The Ortofon OM Elektro Cartridge mounts to a standard turntable headshell.